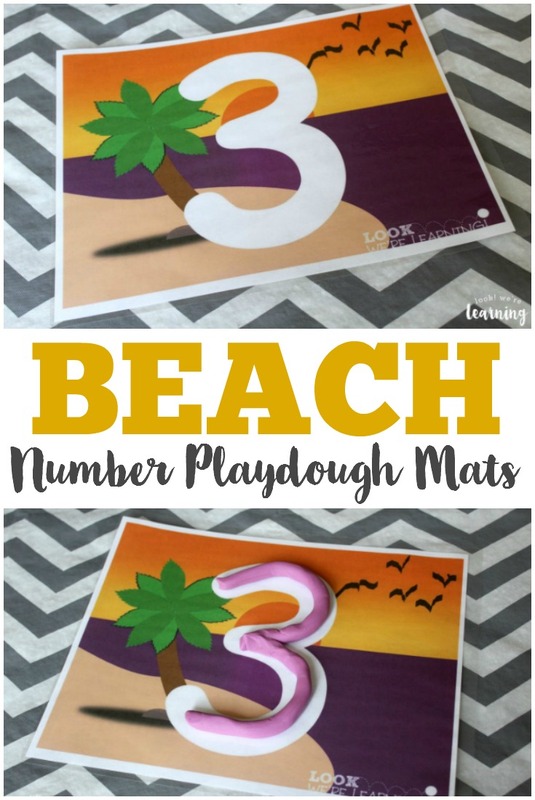 Beach 0-9 Number Playdough Mats - Look! We're Learning! 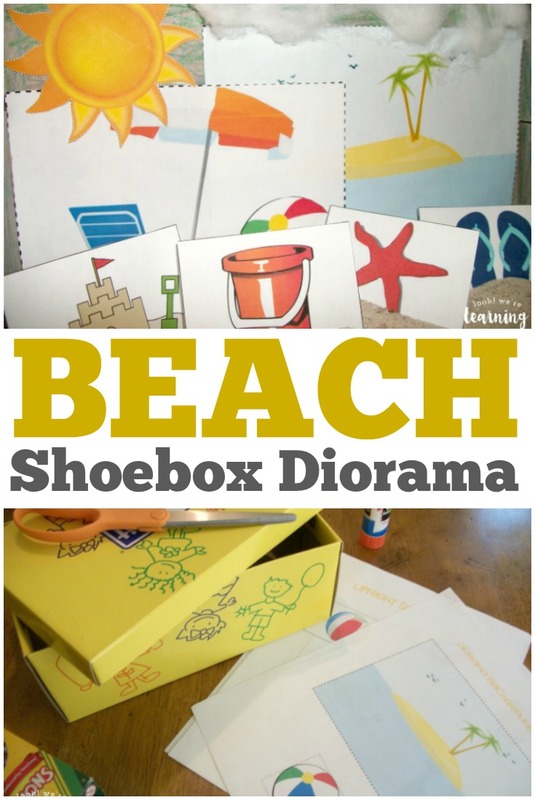 Summer break is coming up, and I’m in a “beachy” mood. 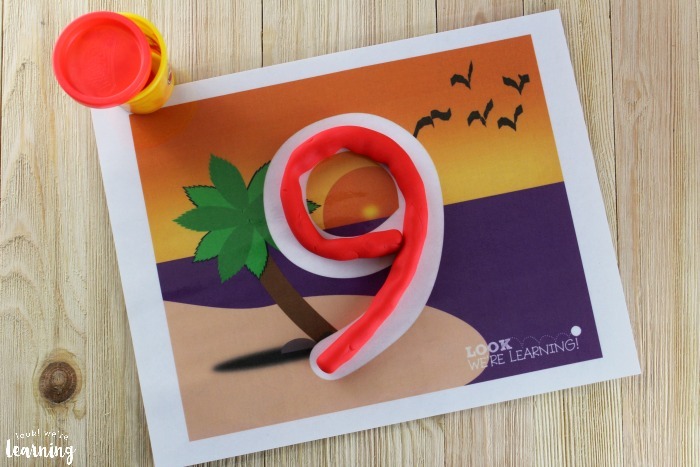 So I decided to whip up some fun (and free) Beach 0-9 Number Playdough Mats! Piglet is starting Tot school this fall and she can recite the ABCs and count to 10. But she doesn’t recognize the letters and numbers yet, which means it’s time to get to work! 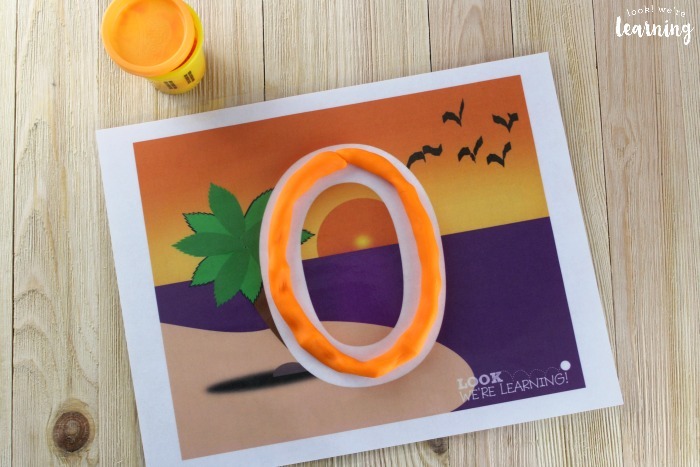 I love using playdough to reinforce number recognition, because it’s great for improving fine motor skills, it provides good sensory input, and (most of all) it’s quiet. She’ll sit there and play quietly with playdough mats for a good 30 minutes. Win! 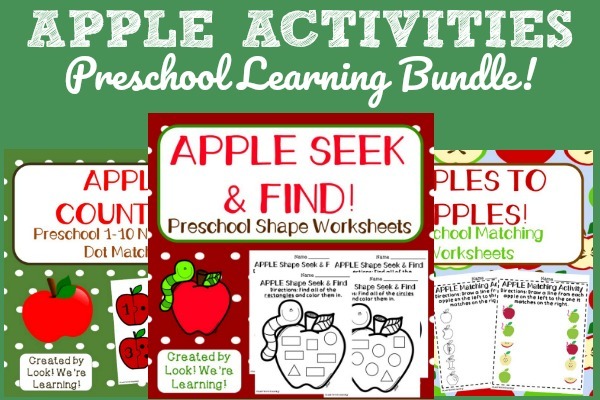 If you love these, check out our other preschool playdough mats! We’ve got Farm Do a Dot Shape Mats, Fall Alphabet and Number Playdough Mats, Cupcake Playdough Mats, and more! Working with playdough is a great way for kids to build fine motor skills – the same skills they’ll need to write numbers and letters later on. 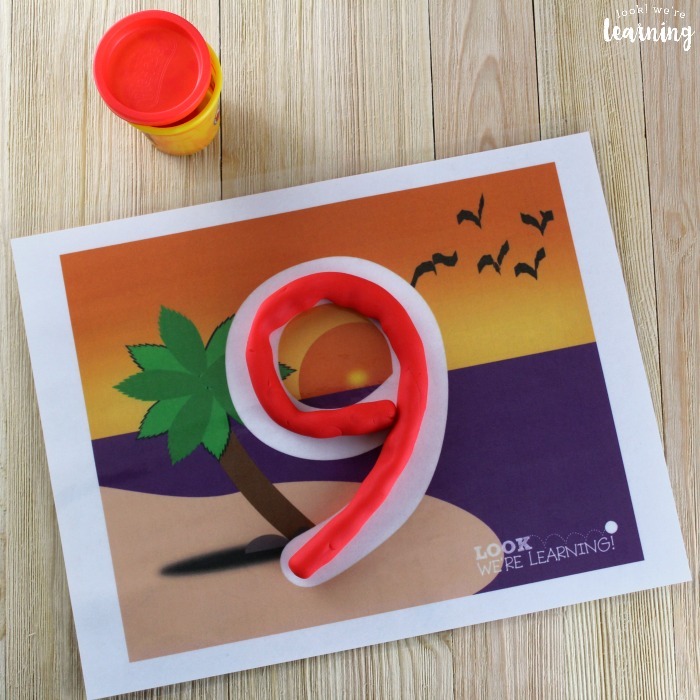 With these mats, kids can make playdough “snakes” by rolling the dough back and forth between both hands and then lay the dough out over the shape of each number. 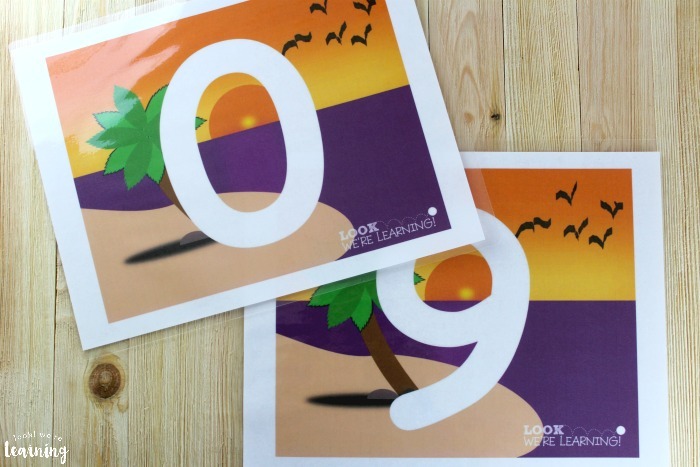 Since each mat features only one number, you can use them along with a number of the day lesson, allowing kids to focus on recognizing one number at a time. 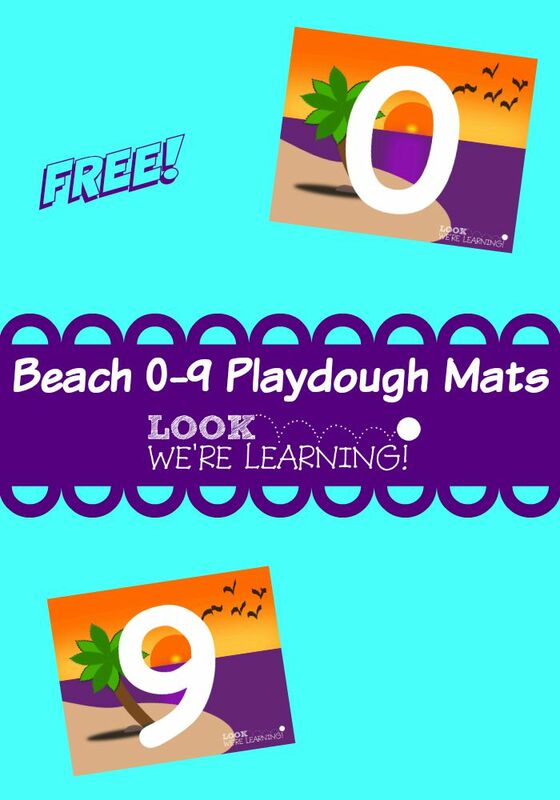 Scroll down to get your copy of our Beach 0-9 Number Playdough Mats absolutely free! 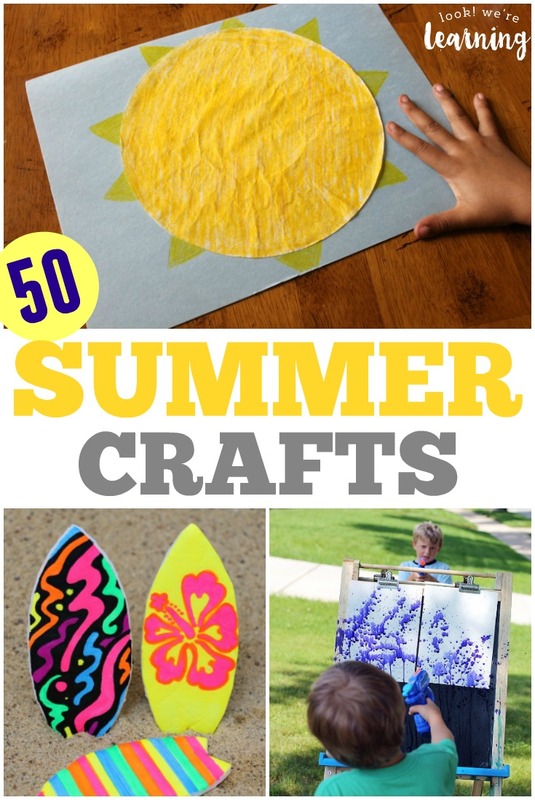 Stop by to check out these other summer fun ideas for kids! 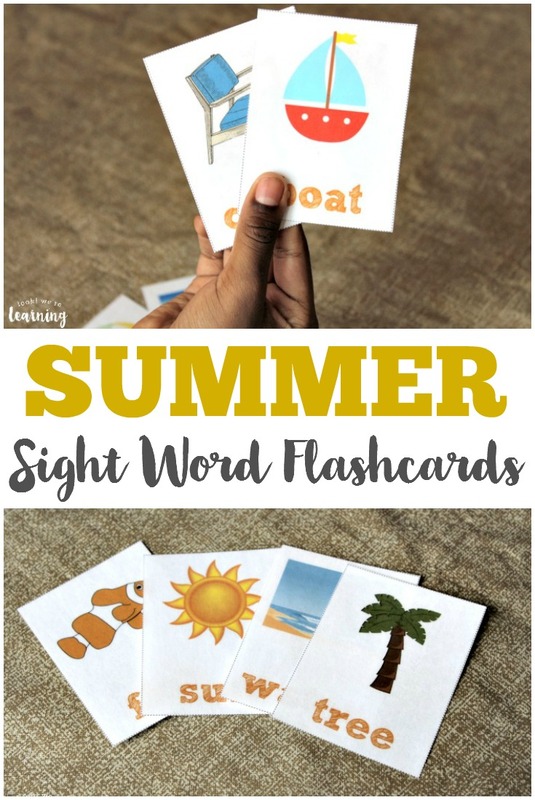 See more fun ways to teach preschool on my Learning for Little Ones Pinterest board! 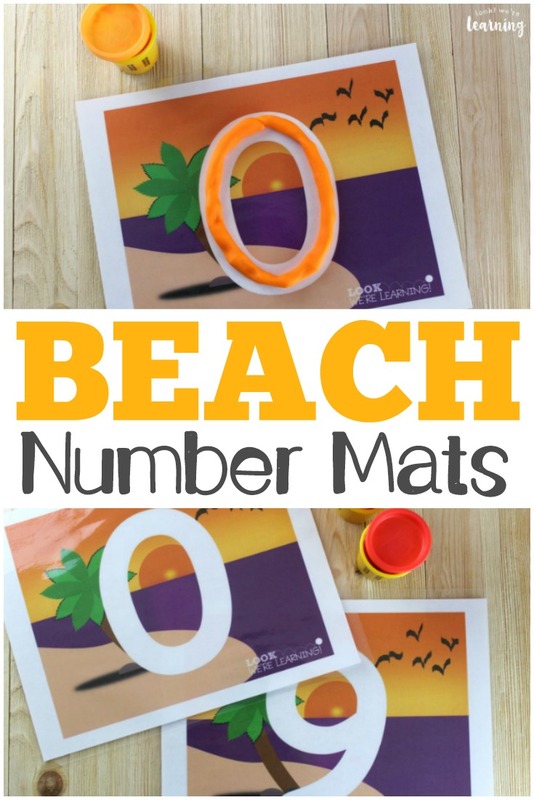 To get your copy of our free Beach 0-9 Number Playdough Mats, sign up for our email newsletter! 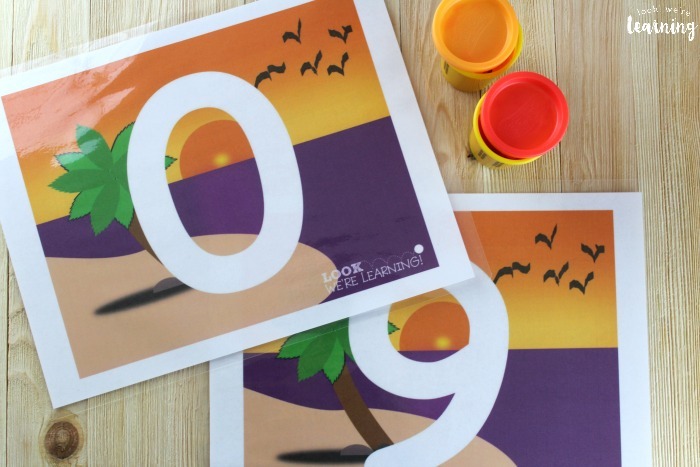 You’ll get these playdough mats, plus plenty of other exclusive printables, in our Subscriber Library!